CAIRO, April 25 (WAM) - The Executive Office of the Council of Arab Ministers for Meteorology, chaired by Dr. Abdullah Al-Mandous, Director of the National Center for Meteorology, as head of the Bureau on 15 September each year, adopted a Meteorological Day. Permanent Committee of Meteorology at the League of Arab States, where the Committee was established on 15 September 1970. The meeting included approval of the proposed items and policies resulting from the subcommittees of the Aviation Meteorology Committee, the Media Committee and the Committee for Weather and Climate. The guidance was also given to study and develop Strategy 2020-2030 and presented to the Standing Committee of Meteorology at the University before September 2018 for submission to the Council of Ministers. 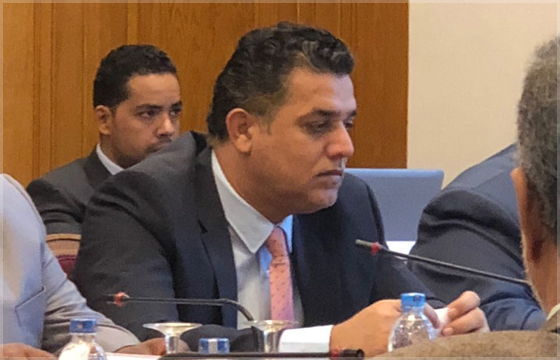 The meeting of the Executive Office was held on the sidelines of the meetings of the Standing Committee for Meteorology, currently held at the headquarters of the League of Arab States in Cairo. In his speech during the delivery of the presidency, Al-Mandous expressed his wishes for success and success to HE Dr. Khalil Al-Thaqafi, Chairman of the General Authority for Meteorology and Environment Protection in the Kingdom of Saudi Arabia, the new president of the Executive Office. He also thanked the attendance and the General Secretariat of the League of Arab States for the excellent hosting and organization of this session. The Committee discussed several items, including changing the name of the Committee on Information to the Committee for Awareness and Information and to emphasize the creation of cadres specialized in the provision of meteorological publications and the introduction of meteorological materials in the curriculum.